Another issue that I need to work on is forgiveness. My time of reflecting at the end of 2013 showed me that I don’t do enough of it, especially with myself. I’ve discovered several things about the level of forgiveness I’ve given to others. For a long time I’ve given the appropriate lip service by saying “I forgive” but have chosen to hold onto an offense, at least to some degree. I thought continuing to remember the hurt or disappointment it caused would help me not to put myself in the same situation again. I know now all that did was create bitterness. It also gave that person power over me. I chose to let what someone else did (intentionally or not) and the feelings it created govern my responses and become part of my DNA. Thinking back, I can see a lot of even little offenses that I let define me in some part. That is not what I/we are supposed to do. 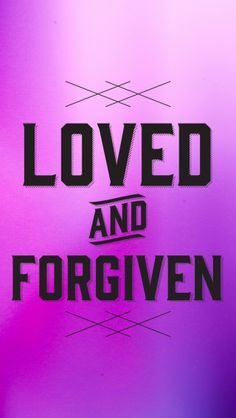 Psalm 103:11 – 12 says, “For as high a the heavens are above the earth, so great is his love for those who fear him; as far as the east is from the west so far has he removed our transgressions from us.” I need to forgive the other person and refuse to let them or the situation have any power over me or my responses to it. I need to turn it over to God and choose to let Him take it from me. Ask for His help in examining the feelings I may have/why I have them, and chose how to respond (or if I should respond) to the situation. The second part of forgiving that I’ve honestly had a harder time with is forgiving myself. I know that has a lot to do with the perfectionism atmosphere my mom instilled in me. When I make a mistake, unintentionally hurt someone’s feelings, or when I react first before actually crafting the right response, I then crash hard and beat myself up with the “Why did I say/do that” song. It’s not pretty. I get moody and really mad at myself. For me, it shouldn’t be any different to forgive myself and let go of this particular offense and any hold it would have over me. Easier said than done. I guess I hold myself to a higher standard and think I shouldn’t hurt anyone, say the wrong things, etc. That’s for other people, right? What I am learning to do when it happens, and it does, is to rein in those thoughts as quickly as I can. To ask for God’s forgiveness for how I reacted and for any pain and dishonor I may have caused Him. To say I’m sorry, if necessary, to anyone I may have hurt. To give myself permission to be imperfect, knowing I will make mistakes but I can choose how I will react. He knows me and loves me in spite of my flaws. He knows my heart and how I so want to be closer to Him and know Him more. He knows my struggles and what I wrestle with in my heart. I just need to remember that I am dearly loved by God. I am still struggling to define “Me” and who He wants me to be. I need to remember that I have flaws, I will make mistakes, and those mistakes don’t define me. Thank God for His forgiveness! This entry was posted in Journey to Be Me, Struggles by Cathy McCoy. Bookmark the permalink.